(Compiled from reports at NY Post by Yaron Steinbuch and Reuters by Steve Holland and Christine Kim) – Washington is “still hopeful” about a planned summit between President Trump and North Korean leader Kim Jong Un, White House spokeswoman Sarah Huckabee Sanders said Wednesday. “We’re still hopeful that the meeting will take place and we’ll continue down that path, but at the same time, we’ve been prepared that these could be tough negotiations,” Sanders said. “The president is ready if the meeting takes place. If it doesn’t, we’ll continue the maximum pressure campaign that’s been ongoing,” she added. “If they want to meet, we’ll be ready and if they don’t, that’s OK too,” she added. Sanders’ comments came a day after Pyongyang threw a monkey wrench into the historic summit [between President Trump and Kim Jong Un] planned for June 12 in Singapore by threatening to pull out amid [the annual] military drills between the US and South Korea. Kim has already called off high-level talks with Seoul that had been planned for Wednesday, [blaming the U.S.-South Korean military exercises] according to the North’s official KCNA news agency. Pyongyang also upped the ante by warning that it would back out of the summit if the US insists on denuclearization in exchange for lifting economic sanctions. “We will not be interested in talks anymore if (they) only try to push us unilaterally into a corner and force us to give up nukes,” Vice Foreign Minister Kim Kye-gwan said in a statement carried by the state media. The vice minister specifically targeted hard-line US National Security Adviser John Bolton, who has called on the hermit kingdom to relinquish its nuclear arsenal in a deal that closely resembles Libya’s abandonment of its weapons of mass destruction. Pyongyang called Bolton “human scum” and a “bloodsucker” when he worked for the Bush administration. “We shed light on the quality of Bolton already in the past, and we do not hide our feeling of repugnance towards him,” the North Korean diplomat said. North Korea had announced it would publicly shut its nuclear test site next week. 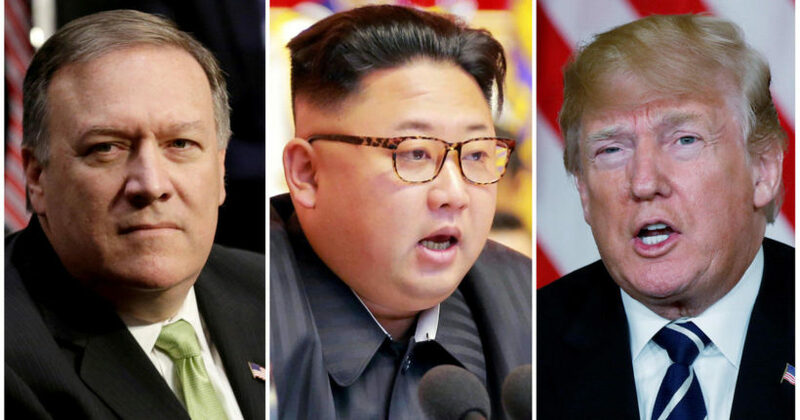 On Sunday, U.S. Secretary of State Mike Pompeo said Washington would agree to lift sanctions on North Korea if it agreed to completely dismantle its nuclear weapons program. Pompeo also held out the prospect of U.S. private sector investment. Kim Kye Gwan’s statement appeared to reject that, saying North Korea would never give up its nuclear program in exchange for trade with the United States. Some analysts and U.S. officials believe North Korea may be testing Trump’s willingness to soften the U.S. demand for complete denuclearization. The doubt thrown over the summit comes a week after Trump abandoned the Obama Administration’s 2015 nuclear deal between Iran and six world powers, under which Tehran said it would curb its nuclear program in exchange for the lifting of most international sanctions. Compiled from reports at NY Post on May 16 and Reuters on May 15. Reprinted here for educational purposes only. May not be reproduced on other websites without permission from the New York Post. NOTE: Before answering the questions, read the “Background” below. 1. What had the North Korean regime promised regarding its nuclear weapons before the date and place were set for the historic meeting between President Trump and Kim Jong Un? 2. For what reason did North Korea pull out of the talks with South Korea scheduled for Wednesday and threaten to cancel Kim Jong Un’s June 12 meeting with President Trump? 3. a) Define the idioms ‘threw a monkey wrench into it’ and ‘up the ante’ as used in paragraphs 8 and 10.
b) For what other reason did Pyongyang threaten to pull out of the June 12 summit? 4. 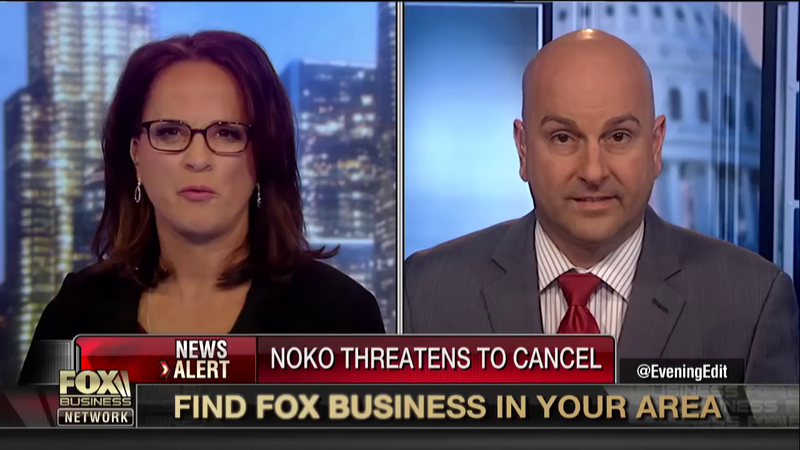 What do analysts suggest North Korea’s motive is for reversing their offer to denuclearize? 5. The Trump administration persuaded the UN Security Council in September to unanimously agree to impose strict economic sanctions on North Korea. The sanctions hurt North Korea’s economy, which is why some analysts believe that Kim Jong Un agreed to negotiate and say he would denuclearize. Now Kim has changed his tune. It is possible that South Korea and China have eased sanctions prior to any action by the North–based only on what Kim Jong Un has said he would do. President Trump has gotten things this far – North Korea released our 3 American hostages and Kim met with South Korea and agreed to end the hostilities (in place since the Korean War ended in 1955). a) Do you think President Trump will successfully persuade/force North Korea to denuclearize, or will Kim win? Explain your answer. North Korea has promised to shut its atomic test site within weeks and invite American weapons experts to verify its closure, Seoul reported Sunday, as new US Secretary of State Mike Pompeo said Washington had an “obligation” to pursue peace. Washington’s new chief diplomat (Secretary of State Mike Pompeo) said he and Kim held in-depth talks about a denuclearization “mechanism” when [he met with him in Pyongyang] over Easter. There is growing evidence that tough new sanctions imposed on North Korea to stop its nuclear weapons and missile programs have begun to bite, and bite hard. In North Korea, factories have closed because of a lack of raw materials, fishermen have deserted their boats and military units are resorting to charcoal-engine vehicles and even ox-driven carts for transport. President Trump and South Korea’s president, Moon Jae-in, say their policy of “maximum pressure” on the government of the North Korean leader, Kim Jong-un, has helped bring him to the bargaining table. Since then, Mr. Kim has taken steps to appear willing to cut a deal, offering what sound like concessions to the United States, but can also be seen as clever negotiating tactics. In April, Mr. Kim said that “we no longer need” any nuclear or missile tests, and that the North would close a nuclear test site, according to the North’s official Korean Central News Agency. One day earlier Mr. Moon said that Mr. Kim removed a key obstacle to negotiations with the United States by ceasing to demand the withdrawal of American troops from South Korea as a condition for denuclearizing his country. Experts said the sanctions, and China’s apparent willingness to enforce many of them, had dealt a blow to one of the few bright points in the North Korean economy: trade with China, which had been an eager market for ore and other North Korean natural resources. The sanctions have also led China and other nations to send home tens of thousands of North Korean workers, cutting off another key source of hard currency for Mr. Kim’s government. It may be too early to judge the full impact of the sanctions, which began to hurt only in the second half of 2017, after China appeared to step up enforcement. This means conditions in North Korea could deteriorate further. Some analysts have argued that Mr. Kim’s decision to travel to Beijing and meet with President Xi Jinping in March may have been a sign of his desperation to ease sanctions. Sanctions could be a true “bunker-buster” for the North Korean economy, said Kim Byung-yeon, an economist at Seoul National University. He said that if the sanctions remained in place, they could threaten the government by creating privation among both the elites and the general population.